TO&A brings our law firm clients the Hampton Inn Ukiah hotel, nestled in the scenic valley of the Mayacamas Mountains of Northern California. Our location is at the gateway to the nearby redwood forests. 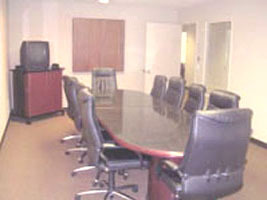 We are ready to handle all your deposition and litigation needs with efficiency and professionalism. Our well-furnished deposition suite provides state of the art audio/visual technology and our friendly and professional staff is on hand to handle all your needs. TO&A can provide all your deposition needs from court reporters, interpreting, and videography.